SMART VALOR AG, located in the Thomson Reuters Incubator in Zug, Switzerland, is redefining investing through leveraging Blockchain technology. The company focuses on alternative crypto-based investments, and recently made it on the Forbes list of the 10 most exciting companies in Europe. Furthermore, SMART VALOR is organizing the biggest international Crypto conference in Switzerland. Markus Kramer, partner at Brand Affairs, is very pleased about the new collaboration: „Switzerland’s financial market is changing. 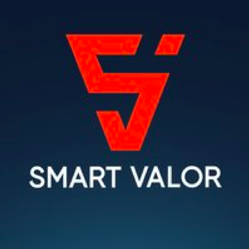 We are proud to support SMART VALOR, one of the leading players in the crypto field.” Kramer is convinced that in addition to the implications of Blockchain technology for the finance industry, the entire value chain of communication will have to be rethought. “What we see is only the beginning of how credibility and transparency through decentralized networks, including communications, will influence our media and communications landscape in the future and thus also our purchasing decisions”, says Kramer. SMART VALOR is a Swiss-based company building a decentralized marketplace for tokenized alternative investments. Its mission is to leverage tokenization and cryptocurrencies to democratize access to wealth.